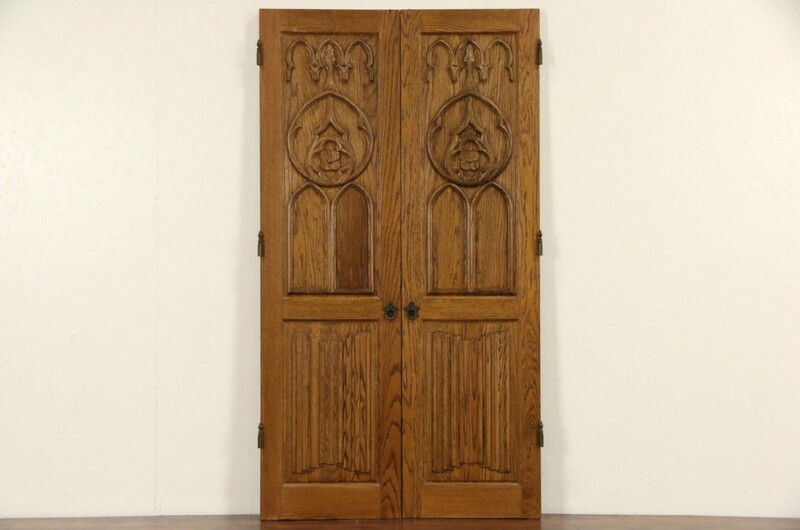 A pair of architectural salvage doors were custom carved of solid oak about 25 years ago. Gothic arches and raised lower panels with "linen fold" panels are on both sides. These substantial doors would be interesting on a wine cellar or hinged together as a screen. Wrought iron ring pulls are original, there is only the top half of the hinges included. The original finish is in very fine condition on this American made vintage pair. Each measures 21" wide, 1 1/2" thick and 76 1/2" tall.